The spring season is prime time for cleaning and repairing your home. Make sure your Clearwater, Florida, house is in prime condition for the season ahead with these important maintenance tasks. Preventive care now keeps things comfortable, safe, and efficient in the months ahead. As you’re going through your lengthy list of spring cleaning tasks, pay attention to your air filter. You may stir up a lot of dust and dirt as you’re sweeping, scrubbing, cleaning, and organizing. You can pull those particles out of the air by running your air conditioner or fan as you clean. 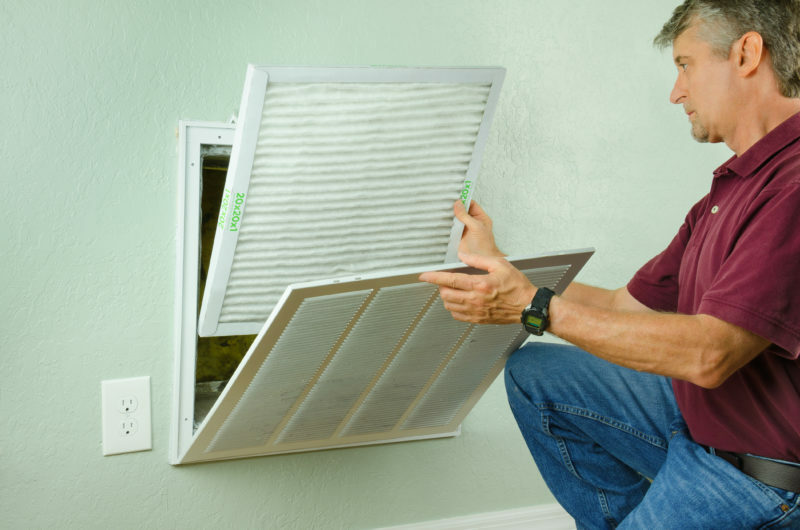 When you’re finished, change the air filter so you can enjoy a comfortable and clean sanctuary in the months ahead. Inspect your gutters in early spring to make sure you’re ready for the rainy season ahead. The gutters should be free of leaves and muck. Look for any signs of damage, such as loose connections to the roof or holes and leaks along the length of the gutter. Repair these before spring storms hit. You should have an air conditioner tune-up every spring before you’re at the height of the cooling season. During this maintenance visit, our technicians carefully inspect, clean, and adjust your air conditioner components. Systems that are well-maintained are more energy efficient and have a longer lifespan with fewer repairs. If you have a deck or porch, inspect it carefully to make sure you’re ready for sunny days soaking up the sun and warmth outside. If there are loose spots, repair these as soon as possible. Plan to treat the deck every four to six years to prevent deterioration. If you’re overdue for spring HVAC maintenance, schedule an appointment with Advanced Cooling Systems today. Give us a call at 866-827-7662. Our residential HVAC maintenance plans help you prepare for the summer so you can enjoy greater comfort and minimal expenses this season.